I started practicing Zen with the Canberra Zen Group in 1992 following my separation from my first wife. I had become interested in Zen practice as part of my jujutsu training at black belt level. My jujutsu teacher had been exploring some of the inner (mind, spirit) aspects of budo with his yudansha students, and from around 1989 I had started to sit zazen fairly regularly at home. The Canberra Zen Group met for zazen several times a week at a Vietnamese Buddhist temple in the north of Canberra, and were also affiliated with the Sydney Zen Group who have a zendo in Annandale, where I used to live, and also have a retreat centre at Gorricks Run, a remote valley in the Northern Blue Mountains. In 1993 I attended my first sesshin (7 day silent retreat) at Gorricks Run where the teacher was John Tarrant Roshi, the first Australian to be authorized to teach Zen. Tarrant Roshi had been a long-time student of Robert Aitken Roshi, one of the most influential figures in the transmission of Zen to the West. Aitken Roshi (1917-2010), was introduced to Zen Buddhism while detained in a Japanese internment camp during World War II and became a pioneer in establishing Zen Buddhism in the West. A student of Nakagawa Soen Roshi, Yasutani Hakuun Roshi and Yamada Roshi, Aitken was authorised to teach in l974. He travelled regularly from Hawaii to lead sesshin in Sydney from 1979 until authorizing John Tarrant to teach in the late 1980s. 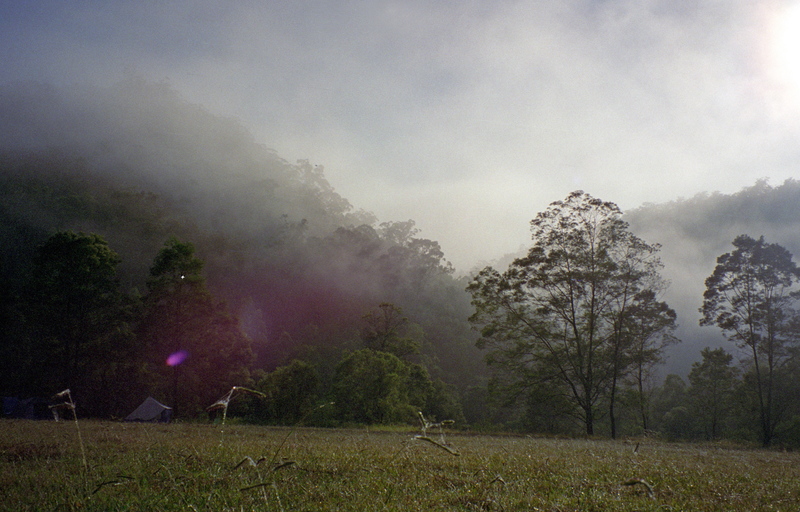 Morning mist at Gorricks Run, 1993. My first sesshin in 1993 was an extraordinary experience, which I may describe in a later post. At another sesshin the following year, I became a personal student of John Tarrant Roshi. At that time already based in the USA, he was returning to Australia regularly to lead sesshin. 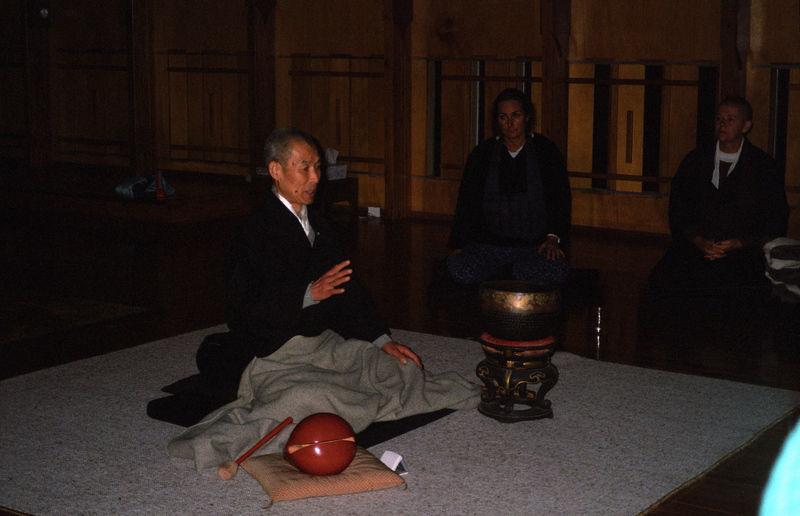 The photo below was taken during early morning zazen in the temporary dojo at Gorricks Run in 1994. The daily schedule involved rising at 4 am to start zazen at 4.30. Early morning zazen, Gorricks Run, 1994. In 1996, I attended a historic sesshin at Gorricks Run led by five Zen teachers including Aitken Roshi. 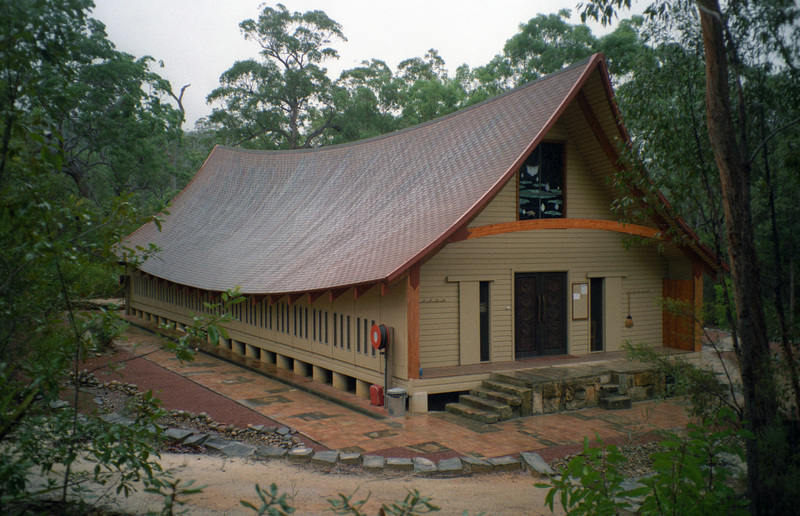 At this sesshin, Aitken Roshi and Tarrant Roshi authorized Subhana Bargazhi to teach, and she subsequently became the main teacher for the Sydney Zen Group. Bargazhi Roshi was the second Australian to receive Zen inka, and has the distinction of being the first (and possibly only) Australian to be authorized to teach in two Buddhist traditions: Vipassana Insight Meditation tradition and Zen Buddhist tradition. The other teachers present were Ross Bolleter (from Perth) and Daniel Tarragno (California). 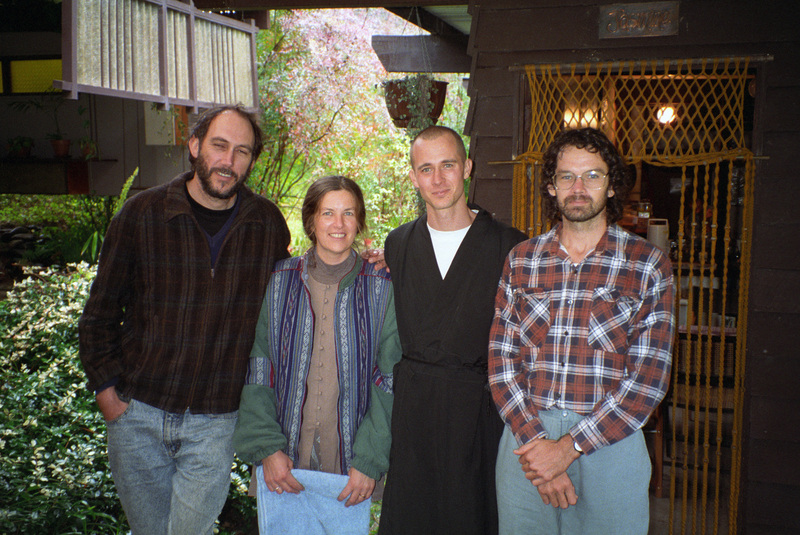 Five Zen teachers at Gorricks Run, 1996. From the left: Ross Bolleter, Robert Aitken Roshi, Subhana Bargazhi, John Tarrant and Daniel Tarragno. 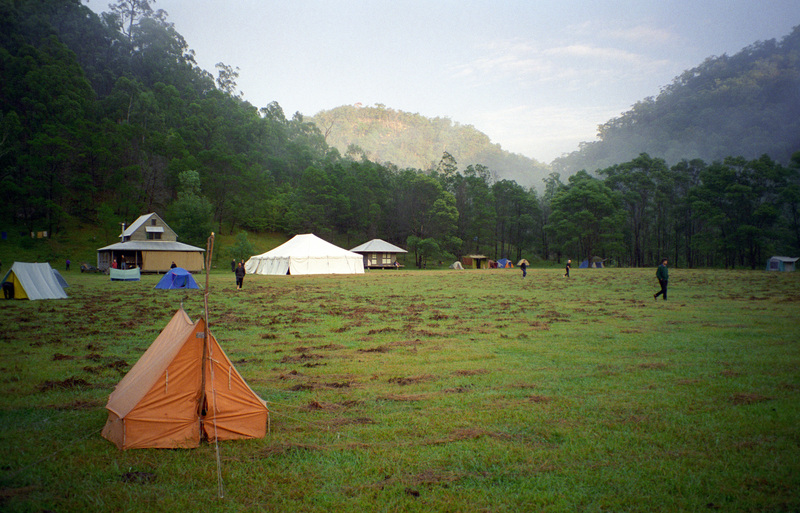 My yellow tent at Gorrick’s Run, 1996. 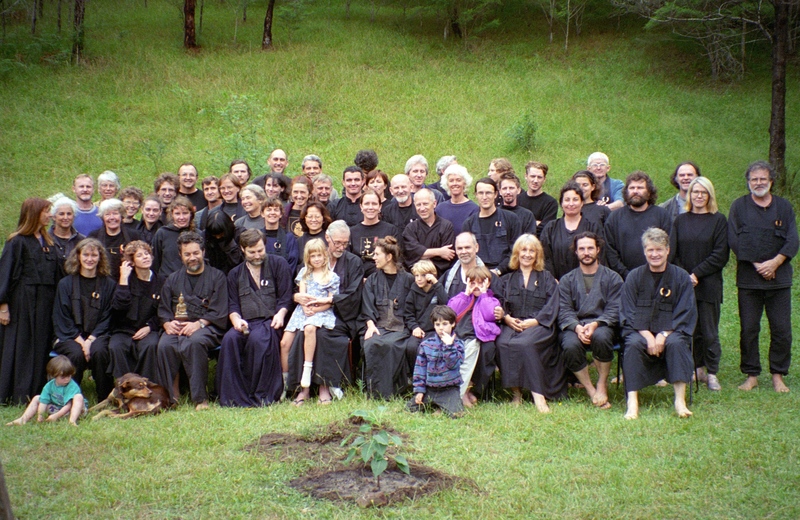 Participants at the 1996 sesshin at Gorrick’s Run. Not long after I got involved in Zen training with the Sydney Zen Centre I met Peter Thompson, who at that time was also living in Canberra. He had been a long-term Zen practitioner and became a bit of a mentor for me, as well as a good friend. Peter was also training with a Japanese teacher who had been coming to Australia to conduct sesshin since 1985. 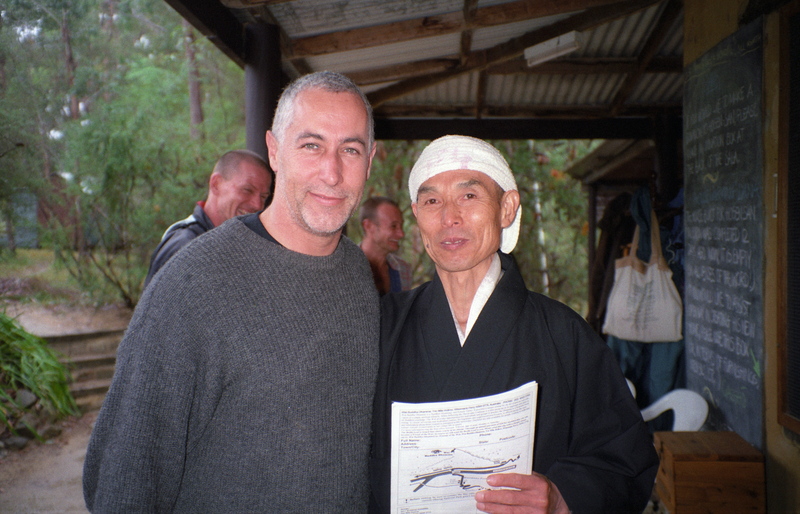 Peter persuaded me to attend a sesshin with him in 1994. led by Hogen-san near Maclean, on the north coast of NSW. 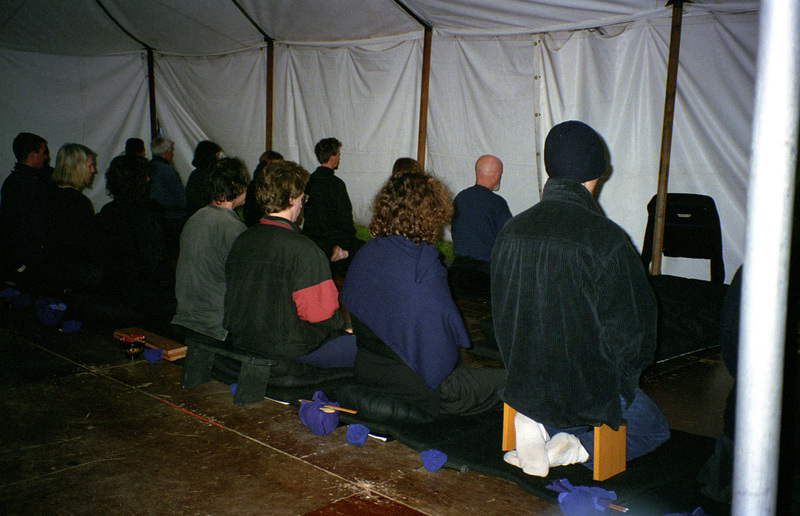 Hogen Daido Yamahata and sesshin participants near Maclean, 1994. 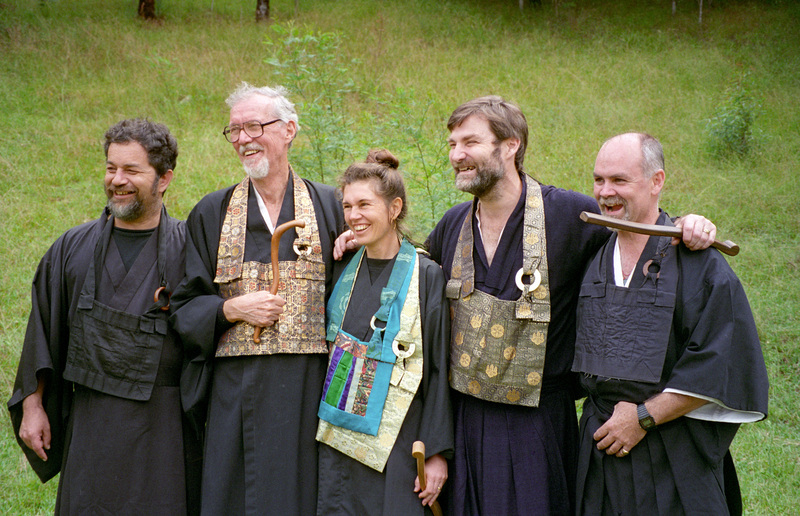 Peter Thompson (left) and other participants at the 1994 sesshin. In the following years, I attended two sesshin at Ballina on the north coast of NSW. As I child, my family used to rent a beach house on a northern beach in Ballina, which was about 40 miles away from Casino, where we lived. I think we would usually go for two weeks, though it may have been longer. We used to walk northwards over a headland and onto a long beach that was deserted, with bush behind. When I first went back in 1995, I discovered that the retreat centre was just behind this headland and that the beach we used to walk on had a road behind it and had been developed with holiday houses all along. But it was a wonderful place for a retreat. Hogen-san is a keen runner and yoga practitioner and includes these practices in his sesshin schedule. 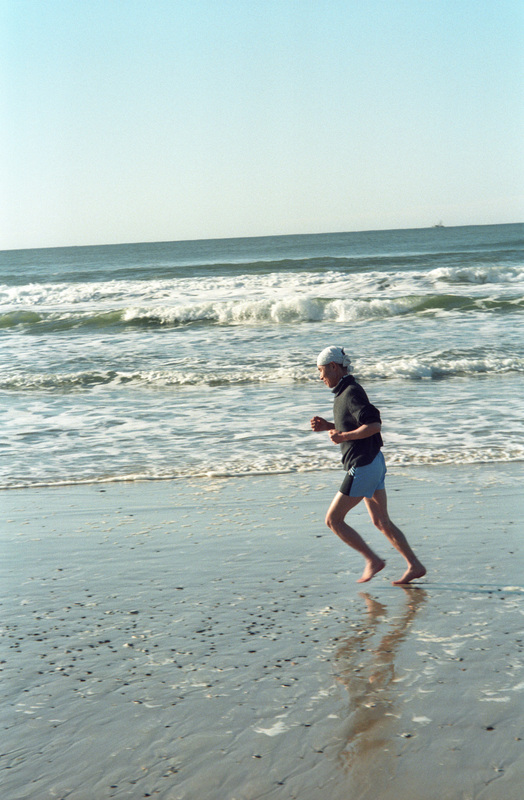 So every day we would go for a “mantra run” on the beach intermixed with some yoga practice. Additionally there was a one hour yoga session in the afternoon between blocks of zazen. 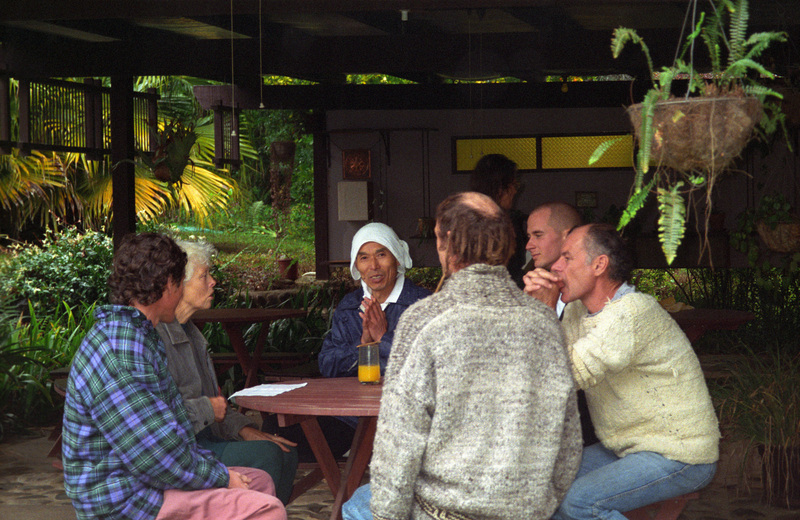 Hogen-san addressing sesshin participants in Ballina, 1995. 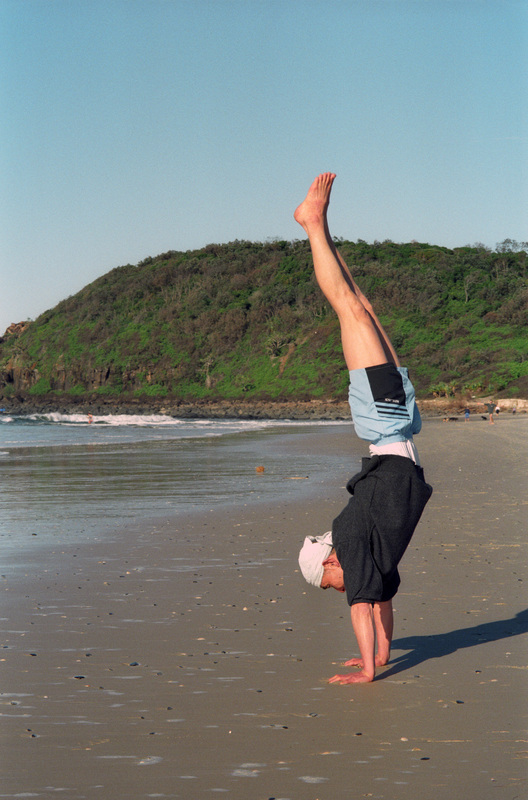 Hogen-san doing yoga on the beach at Ballina, 1995. 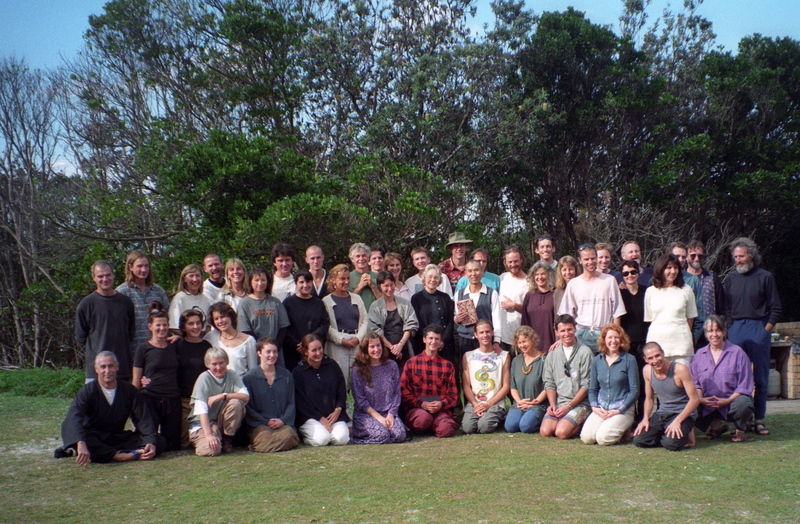 Sesshin participants, Ballina 1995. Hogen-san is in the middle row (centre), I am on the far left. In 1998, I attended another sesshin led by Hogen-san at a Buddhist retreat centre, deep in the remote Dharug National Park north of Sydney. To get there was a long drive on a dirt road (only accessible with the code to a locked gate). This dirt road, which ran past the Wat Buddha Dhamma centre was part of the Old Great North Road built by convicts in the early nineteenth century, and now a World Heritage listed site. The Great North Road, surveyed in 1825 and completed in 1836, was constructed using convict labour. Up to 720 convicts – some in chains – worked on the road, which spanned 264 km, connecting Sydney to the settlements of the Hunter Valley. It features spectacular and beautifully preserved examples of stonework, including buttresses, culverts, bridges and twelve metre high retaining walls.During one of Hogen’s mantra running periods, I ran north along the Old Great North Road to the convict built stone bridge, still standing and functional, which is the oldest remaining bridge on the Australian mainland. The Sala (zendo) at Wat Buddha Dhamma. Hogen-san addressing students in the Sala. At this sesshin, I undertook the jukai ceremony or lay ordination as a Buddhist practitioner and became a personal student of Hogen-san. Jukai is a formal rite of passage that marks entrance into the Buddhist community. During the jukai ceremony, I made a commitment to the 16 Boddhisattva precepts (the Three Jewels, the Three Pure Precepts and the Ten Grave Precepts). Hogen-san presented me with a rakusu (representing the Buddha’s robe) inscribed with my Dharma name. This name chosen by Hogen-san is the name by which I am now known within the Sangha. Hogen-san and myself, following the Jukai ceremony, 1998. 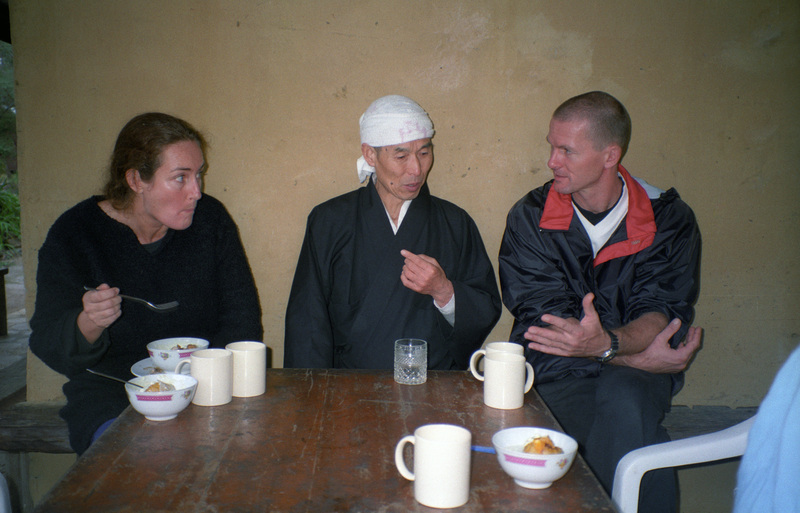 Hogen-san and two students during a meal break, Wat Buddha Dhamma, 1998. 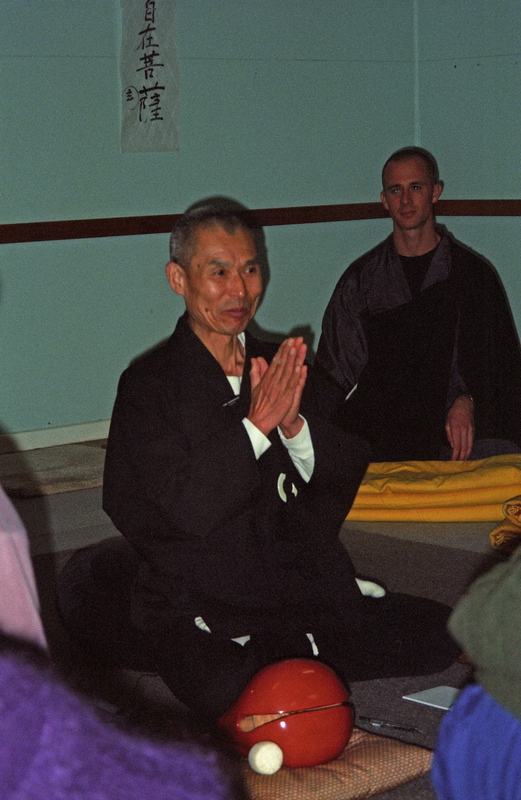 Following my move to Geneva in 2000, I returned several times to Australia for sesshin led by Hogen-san, who had now relocated completely to Australia, until his retirement from active teaching. This entry was posted in Uncategorized, Zen and tagged Aitken Roshi, Canberra Zen Group, Hogen-san, John Tarrant, Sydney Zen Group, Zen by colinmathers. Bookmark the permalink. I would like to use one of your photographs of Gorrick’s (crediting you). Would you give me permission to do this? No problem, very happy for you to use the photo.